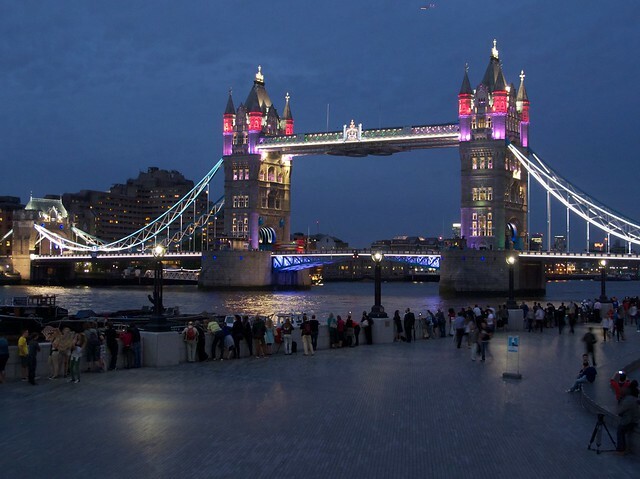 120 years ago today Tower Bridge was officially opened in a large, Victorian spectacle with the the Prince of Wales (the future King Edward VII) and his wife (the future Queen Alexandra) as the top billing, well other than the bridge itself. 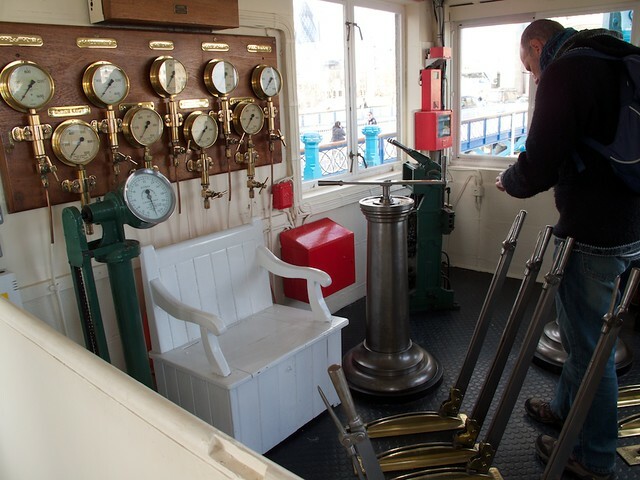 Fittingly, for today entry to the Tower Bridge Exhibit is £1.20. 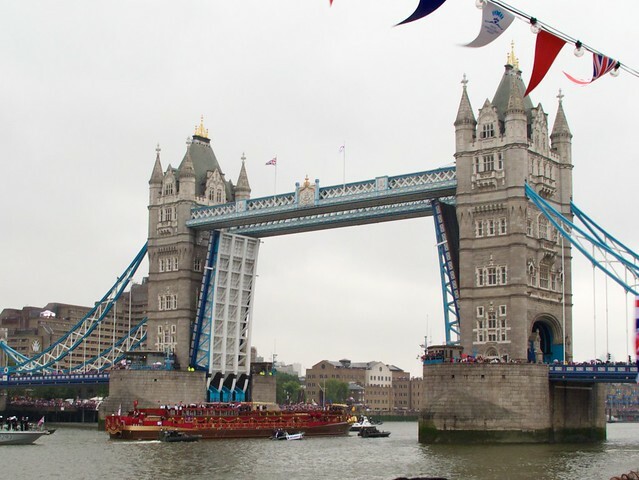 The Royal Barge, The Spirit of Chartwell, goes under the bridge as part of the Diamond Jubilee River Pageant. The bascules are fully raised in salute to the Queen. New lights fitted a few weeks before the opening of the 2012 summer Olympics. 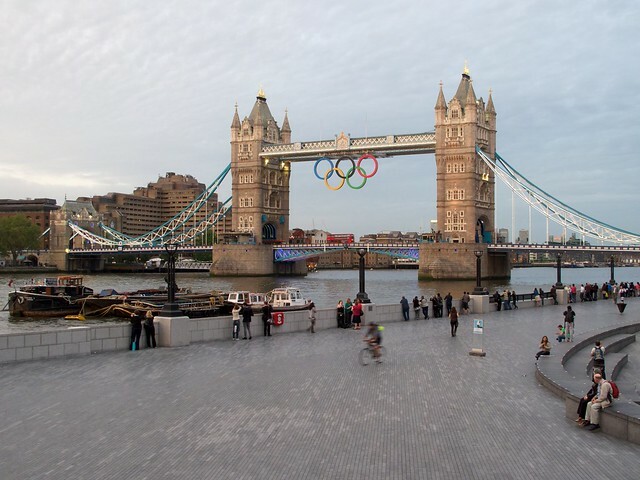 Same shot, but in daylight with the Olympic Rings on show. 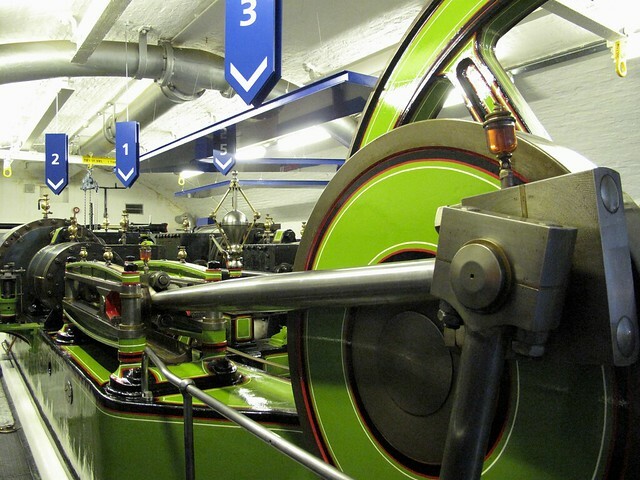 Inside the old Victorian control room. 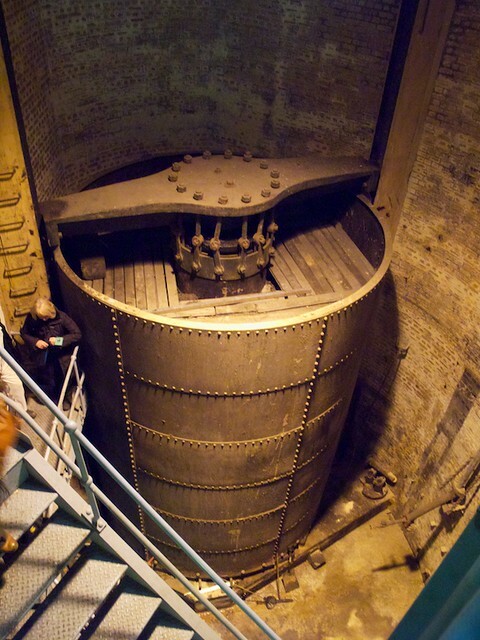 Inside the south tower’s bascule chamber, beneath the water level of the river. 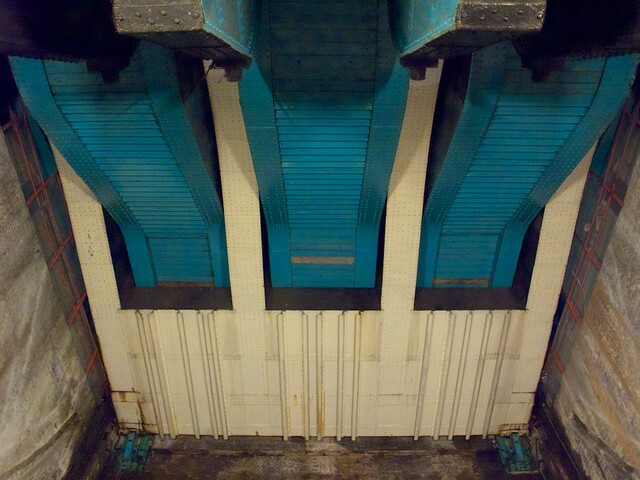 Back end of the south bascule. Up in the elevated walk way. 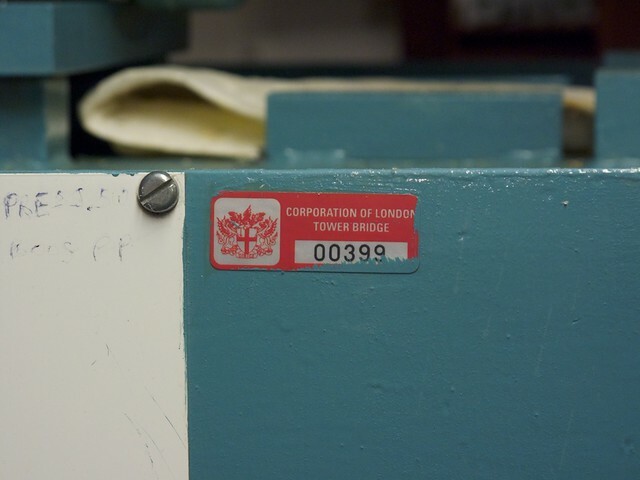 City corporation tag on some of the engine room equipment. 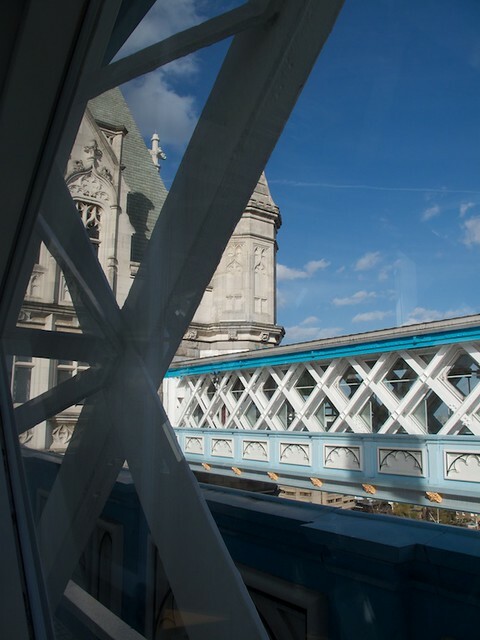 Tower Bridge was built by the City of London Corporation and they still maintain it. I'm Andrea Vail and I sometimes post things here about London, video games, things I've photographed, and places I've visited.